Come discover the ultimate houseplant. Orchids grow in the same conditions as common plants but flower for much longer. Sometimes months. We offer orchid varieties that flower throughout the year so something is always blooming. Our spacious greenhouse is open to the public and well stocked. Gift a loved one a beautiful, long-lasting flower or select something special for your personal collection. Our knowledgeable staff can help you pick the perfect plant. Plus, we offer classes and special events. Walk through our doors, without leaving yours. Take a tour through Google Maps Street View. View the hundreds of flowers in bloom, and explore our 1200 square foot greenhouse. Take your time, this virtual tour is open 24/7. At any time Fantasy Orchids has 300 to 500 orchids in flower or within a few weeks of flowering. We carry hundreds of different types of orchids, so there is always a great selection of budded plants. 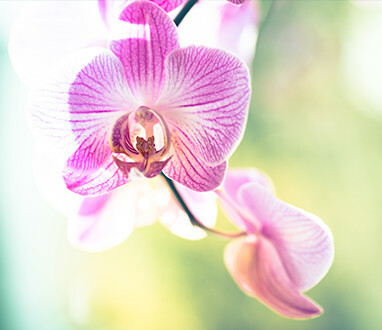 Visit our video section to see what has caught our eye, both here in Louisville, and Hawaii, where our orchids are handpicked and imported from.